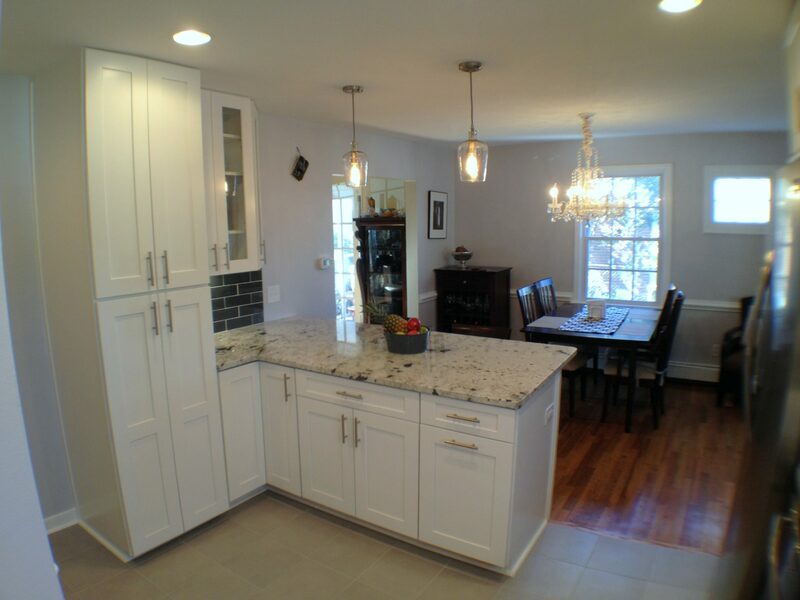 Take a look at the transformation of this beautiful colonial home’s kitchen in the Westview Manor neighborhood in Near West End Richmond. 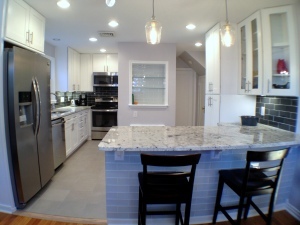 We succeeded in executing the vision of the homeowners to open up the space, modernize and improve functionality. 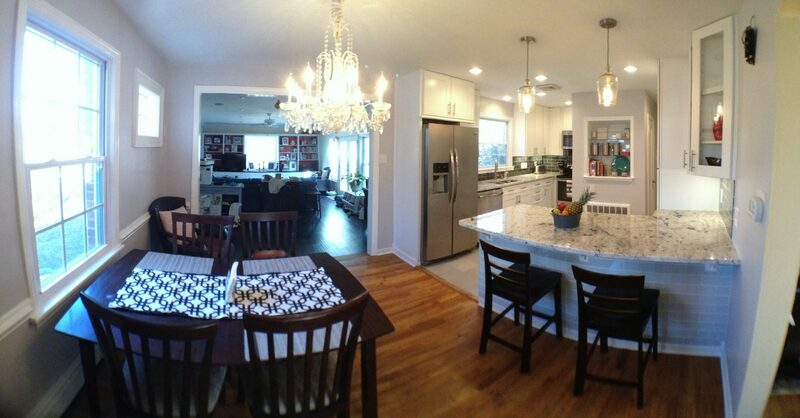 With the removal of the wall between the kitchen and the dining room, the space feels open and inviting. 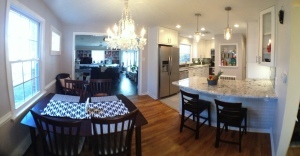 The space was then beautifully updated with a new ceramic tile floor, all-wood kitchen cabinets and stainless steel appliances. The new lighting really brightened up the space. 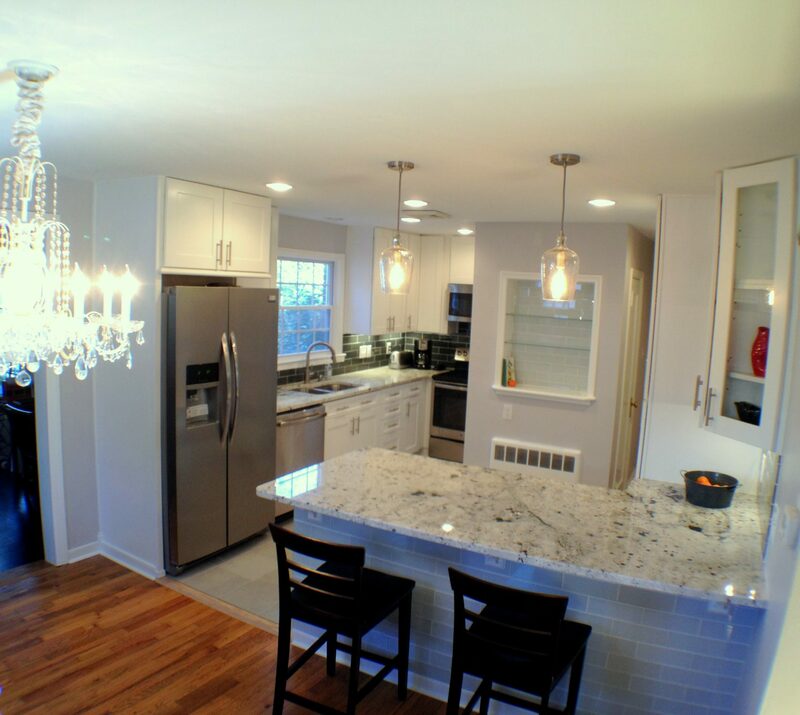 We installed new recessed light cans throughout the kitchen with intentional spotting over some of the important locations such as the stove, sink, fridge, and pantry. The under cabinet lighting and the pendants over the peninsula bar seating add even more light and charm. 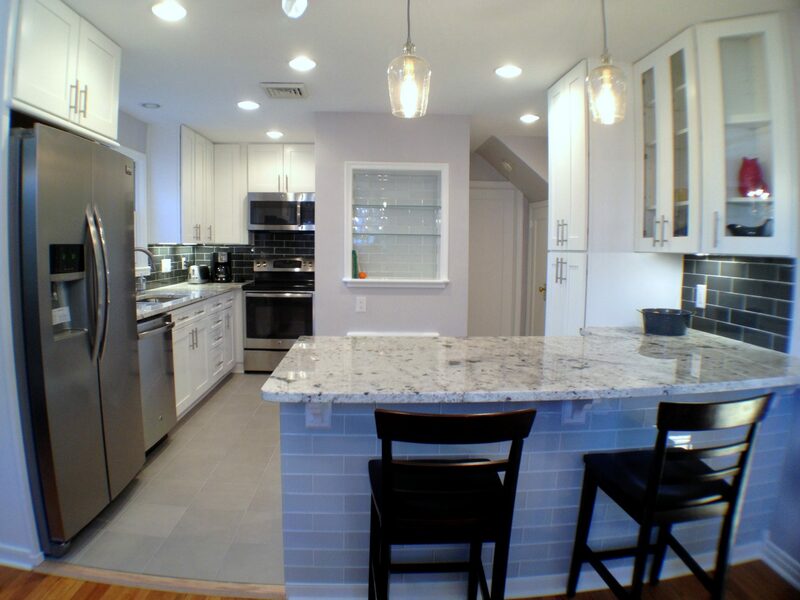 Another element in this kitchen remodel included redesigning the niche in the center of the room with new trim work, a tile backing and elegant glass shelves that really ties it into the aesthetic of the rest of the kitchen. This is another example of how to remodel an older smaller kitchen to create the luxury you deserve.